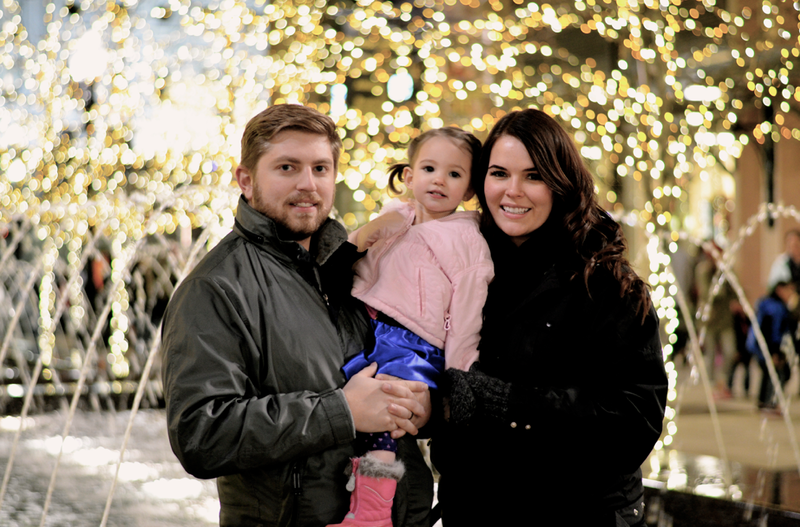 I currently live about thirty minutes south of Salt Lake City, which makes a particular Christmas tradition very convenient: Visiting the lights at Temple Square. 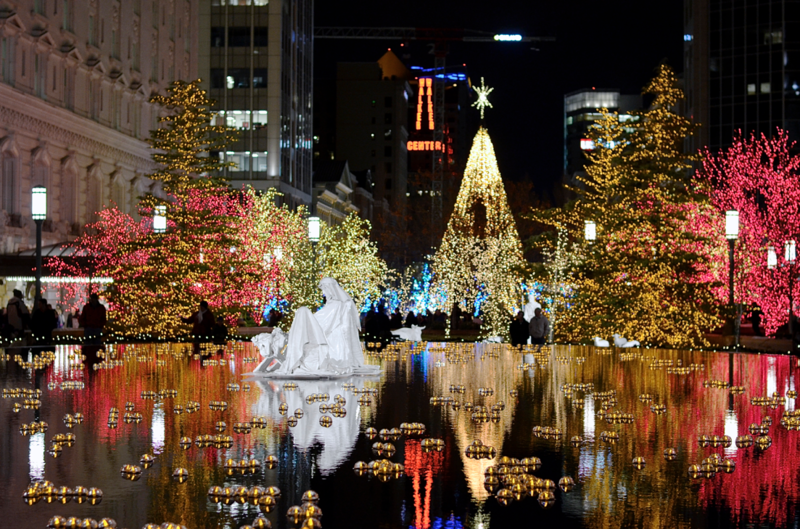 Temple Square is best known for the LDS Temple as well as the rich history of the pioneers who founded Salt Lake City. I think its a beautiful place all year (its literally one of the cleanest cities ever!) but its especially amazing at Christmas time. Every year millions of lights go up to decorate the grounds and all of it to testify of the true meaning of Christmas; celebrating the birth of our Savior, Jesus Christ. My sweet daughter Jade is enamored with “Bebe Chee-sus” as she calls him. I can count on fingers and toes the number of times I had to remind her to put baby Jesus back in our nativity at home, I’m telling you, the kid’s obsessed! 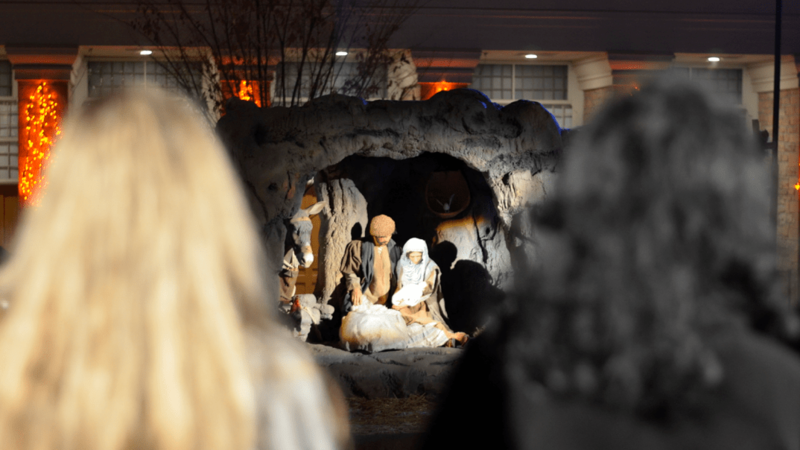 We loved seeing all of the lights and visiting the different life-sized nativities that were displayed. Which is perfect timing because I ALWAYS seem to get stressed out about the giving and getting of gifts, Christmas parties, making it to the Nutcracker and Christmas Carol (also FABULOUS traditions.) But coming here and feeling the spirit of the grounds always brings me back to what really matters. I always leave feeling peaceful and more grounded. This was one of the first years that there wasn’t any snow when we went, or all month for that matter. Below is my “where’s the snow?” face. It literally snowed for the first time (and actually stuck) on Christmas eve. Which is perfect for a native SoCal girl like myself, and super boring for my snow-loving Idaho husband. I feel truly blessed to have the most important things this Christmas: Family, friends, faith, good health and all of the material blessings I already have. He truly is the gift! Merry Christmas, you are all so amazing and I love each of you! What are your favoriteChristmas traditions?